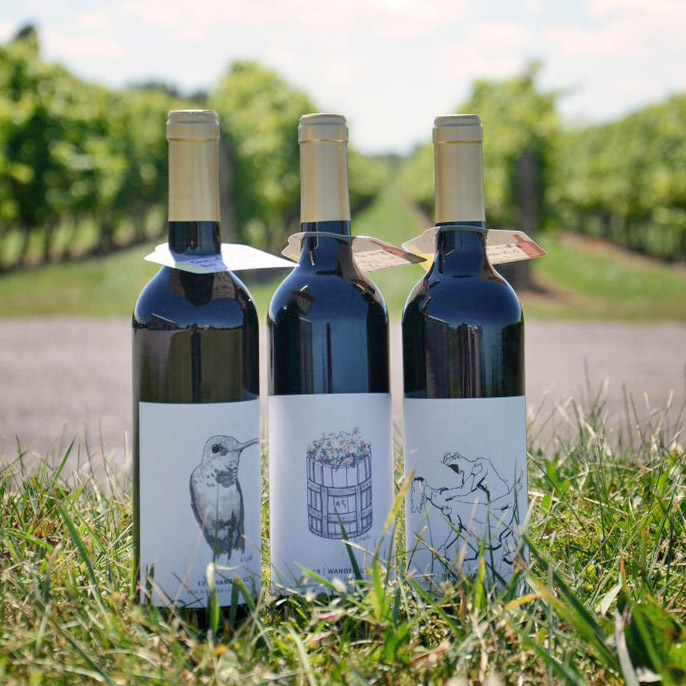 Hinterbrook is an estate winery located in Niagara-on-the-Lake Ontario, making exciting VQA Wines in addition to hosting incredible food and wine events, tours and weddings on our picturesque property. At Hinterbrook, we aim to convey the true expression of the land and its people through authentic thoughtfully crafted wines. 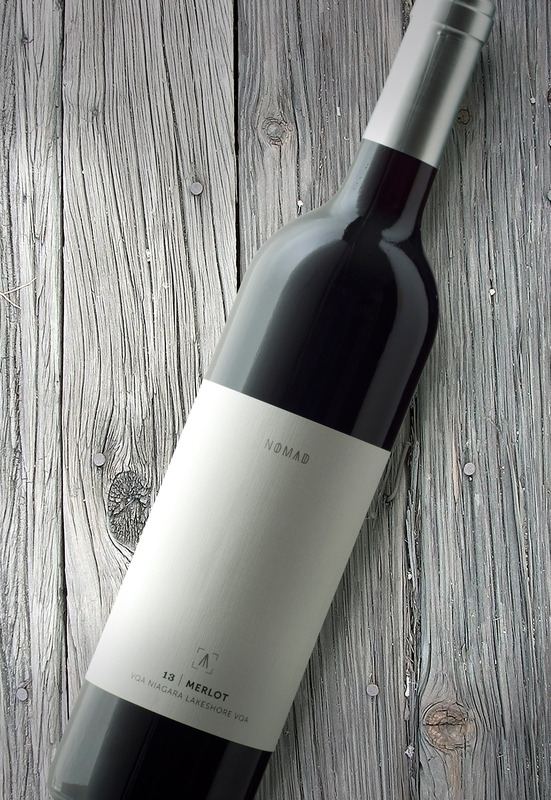 Our NOMAD label is about more than just exquisite wine, it is about the journey…the experience. Visit us to create your own story, design your own label and share your adventure with the world! NOMAD wines are made with the philosophy to let the vineyard do the work. 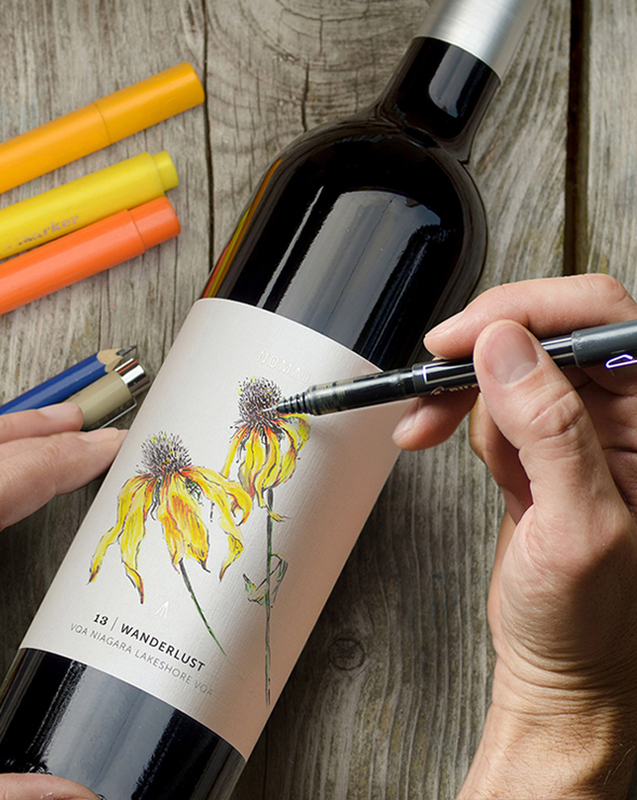 Through a minimalist approach we’re creating wines that are clean and unadulterated expressions of our terroir. NOMAD Wine is the story of people. You. Our visitors travel the world to come to Hinterbrook, share their stories and experiences. These people are the NOMAD. Travelers, adventurers, discoverers, artists — people like you — tell their stories by drawing and painting on each label of NOMAD as contributors to the whole text of this place. NOMAD invites you to be part of the story and to share the experience with us, with others you know or people who’ll follow after you. From our unique Franc Blanc white wine made from dark red Cabernet Franc grapes, to our multiple award winning Travellers Riesling there is a Hinterbrook wine for every wine lover. Hinterbrook Estate Winery is committed to practicing ecological sustainability. Solar powered with geothermal climate control and water conserving technology, the facility is on the cutting edge of modern viticulture. The historic site that is the home of Hinterbrook winery was first settled in 1789 by the Servos family, United Empire Loyalists. The Nickel family purchased the property in 1963 and operated an orchard growing stone fruit and concord grapes. In 1998, the first Vinifera grapes were planted to establish Hinterbrook Estate Winery.